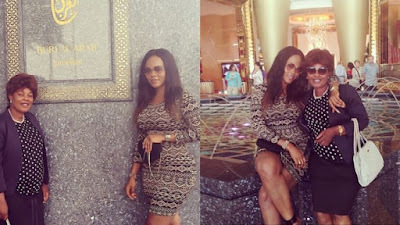 Controversial Nollywood actress, Daniella Okeke who is a splitting image of the mother, shared throwback pictures of their trip to Dubai. 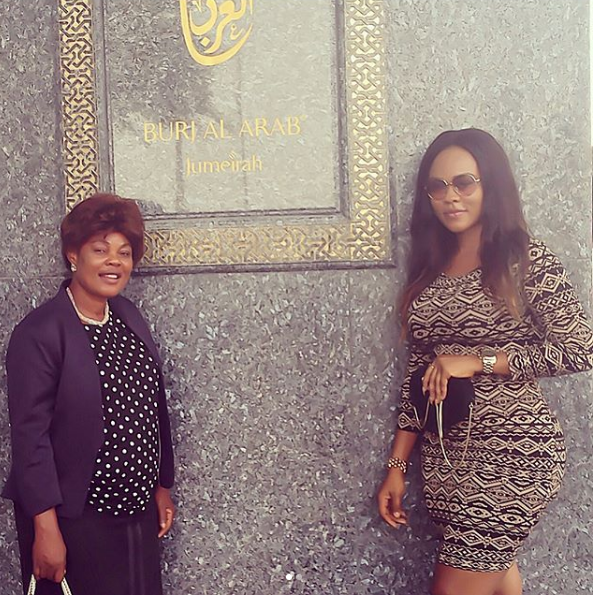 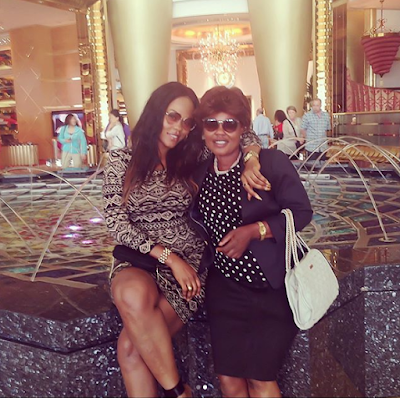 "Wen we had dat Mother and Daughter trip to Dubai 😂😂 it was her first time #memories I will do more for you mummy by Gods grace #daniellaokeke#Godovereverthing"
Many believe the actress is a splitting image of her mother. 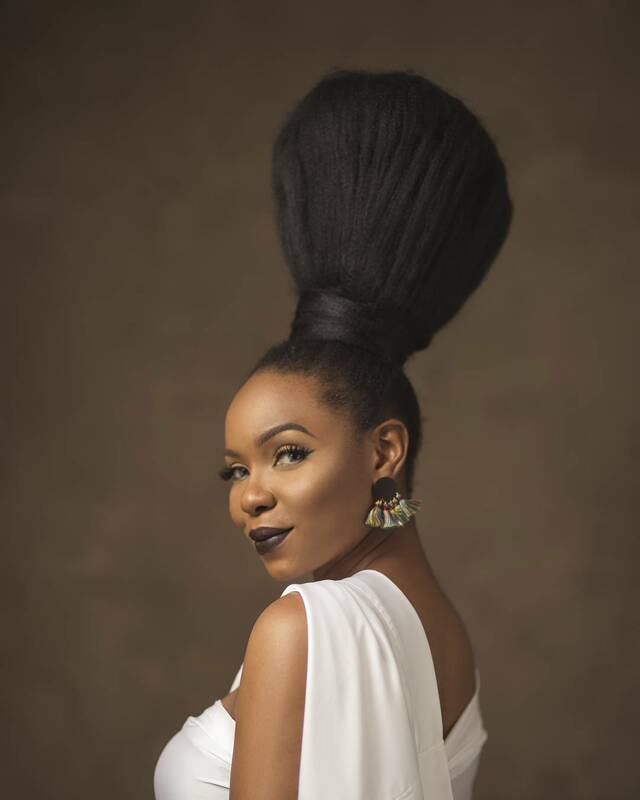 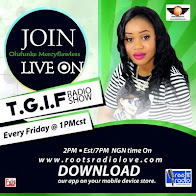 The Buttylicious screen star who was once rumored to be in a sexual relationship with Apostle Suleiman, has put that behind her back.